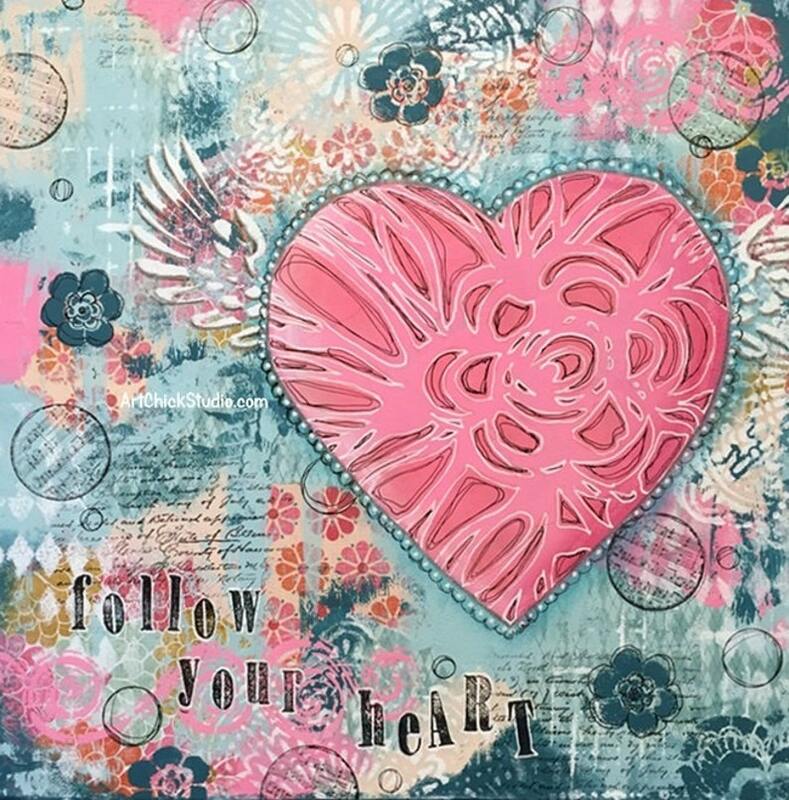 This is a 12x12" original Mixed Media canvas, created with acrylics, Neocolor II crayons, paint markers, stamps, stencils, ink, and paper. It was created for my Art with Heart fundraiser--in memory of my mother--for the Ian Somerhalder Foundation. ALL proceeds from the sale of this painting will go to the Ian Somerhalder Foundation.